11X Championship. Andy is a deep dark brown with black on the ears and muzzle indicating that he is carrying a black color recessive. His frame is ideal - nice and square with large bone. Wade Geese stated in the New Jersey show that he was an "Exceptional package; consistent throughout; great density style and brightness; clear winner; want to see more of in the future!" M-31, the son of 11X Champion Andromeda's Galaxy and Champion Dam Marila, has the genetics and fiber to shine. Excellent conformation, correct bite and full fiber coverage to his toes. We first saw this boy in December 2013 and new we wanted to add these rare genetics to our breeding program. 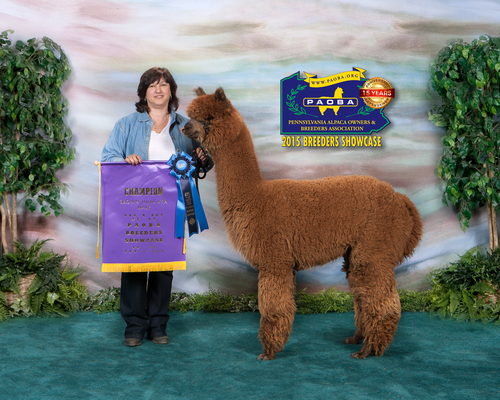 He has a powerhouse of genetics behind him, including some of the industries most often sought after, such as Jeronimo, Sheer Galaxy, PPPeruvian King, PPeruvian Guellermo, PPeruvian Bravado on the short list. 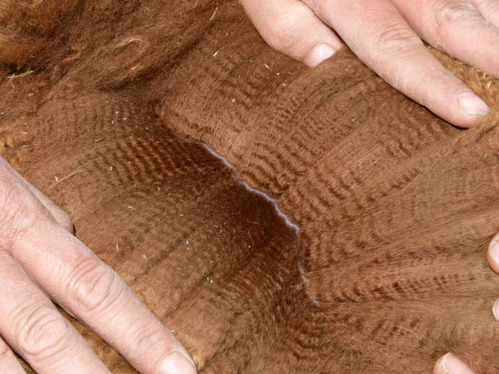 Galaxy's fiber has bright, buttery soft bundles of fleece with outstanding crimp architecture. A real Wow factor to anyone who looks at him. 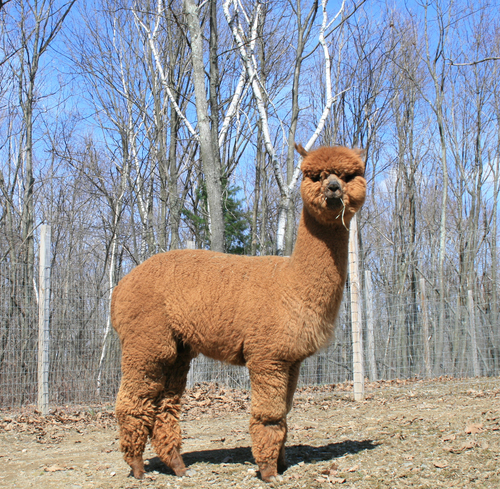 This future herdsire will be hitting the shows in Spring 2014. 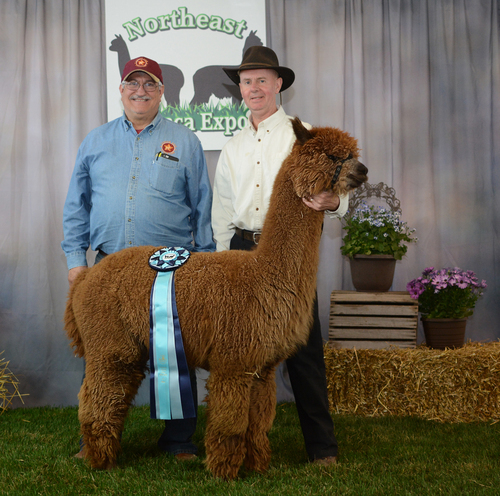 M-31 takes home the purple at the Northeast Alpaca Exposition, May 2014. He just keeps getting better! M-31 has been added to our Female Offspring Guarantee group. 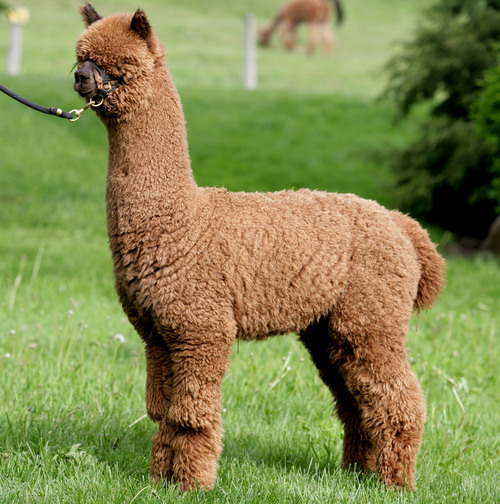 Until September 2019, when you purchase a breeding to M-31 (to be used by the end of 2019), we will guarantee a female cria. Proudly co-owned with Woodland Meadow Farm.